The second quarter of 2014, marked by the IPL season 7 and the 16th Lok Sabha elections in the country, has seen many cool campaigns around them. Brands in various sectors from FMCG to banking, food and beverages, television and ecommerce have explored the social media to launch their new products, to revamp the brand communication or just build on brand affinity and relevant communities. While the campaigns in the first quarter of 2014 set the pace for all brands this year, campaigns in the second quarter have taken it forward with storytelling and co-creation with the community being the focus, followed by online interactivity and personalized gratifications in real time. Campaigns are also marked by a definitive hashtag, as you will see. Following a sensational introduction last September, Café Cuba , the country’s very first coffee flavoured carbonated beverage by Parle Agro, created a coffee revolution this April. An interactive website narrated the origin of the drink, where the narration was done in MS DOS type. A user was asked to press the required key and enter, to proceed in the story whereas visuals and animated figures were formed entirely of keyboard characters. The user was finally led to the TVC. Read more on the campaign here. To connect with the youngsters and first time voters in the country, Channel V had launched the “Know your VQ” campaign during the Lok Sabha elections. Powered by a site and supported through the social platforms of the television channel, ‘Know your VQ’ served as a complete guide to the elections, where one could ask questions, apart from testing their VQ and sharing the interesting visual content pieces with their friends who are first-time voters too. The use of double entendre formed a unique feature in its videos, text and images. Read more on the campaign here. For the launch of ICICI Bank’s Creative Masters Drawing contest, where participants could contribute to a social cause with their drawings, the brand launched the Magic Pencil Project which promised to give away magic pencils with which one could bring their imaginations to life. 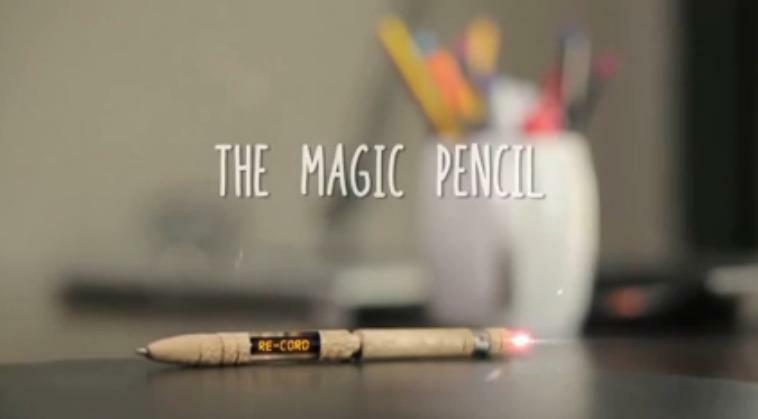 A site was created along with a blog, and platforms on YouTube, Facebook and Twitter to generate curiosity on the Magic Pencil Project. Users were invited to share what they would do with a magic pencil using #IfIHadTheMagicPencil, a video had the team convincing viewers on the pencil and many activities prior to revealing about the drawing contest. Read more on the campaign here. For the promotions of H&S shampoo for men, the shampoo brand from P&G launched a 3-month campaign called ‘#ZindagiMiliDobara’. The contest hosted on a Facebook app sought to find two men who deserved to reclaim their lives and treat them with a 5-day trip to Brazil. Men needed to submit a 2-minute long video or a 300-word writeup describing why they deserved the trip. The brand also had videos submitted by comedy content creators, The Viral Fever to add to the humour. Read more on the campaign here. With Old Spice introducing supermodel Milind Somen as the face of the brand last year, it also set about defining the new ‘mantastic’ smell. To reiterate the magic of smelling mantastic, the deodorant brand had launched ‘#WhatsInTheTub’ campaign this April, where Milind was featured in a tub wearing only the mantastic smell. ‘Mantastic’ movie posters were shared on social media where the tub replaced the main lead, to establish a personality for the tub. Read more on the campaign here. To associate with young trendsetters, Signature launched a two-month long campaign purely through the Signature Selfie mobile app, where one could create their ‘signature selfie’. 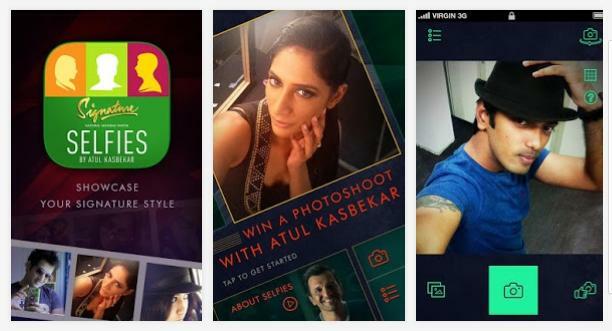 Fashion photographer Atul Kasbekar chose the most stylish signature selfie who won a private portfolio shoot with him. The mobile app allowed a Facebook or Twitter login, and had many helpful features to create the perfect selfie like – 5-second timer, glam filters, pro tips, effects, airbrush, etc. The campaign roped in fashion bloggers and celebrities and provided users a unique theme each week. Read more on the campaign here. OMRON India and National Association for the Blind, Delhi wanted to create the world’s largest audio-library of poems for the visually impaired, through their campaign ‘Your Voice, Their World’. A website powered by Facebook login and mobile apps were created so anyone could access online to contribute to the database. Users had the option to record a poem, upload a recorded one or just vote for poems by others. 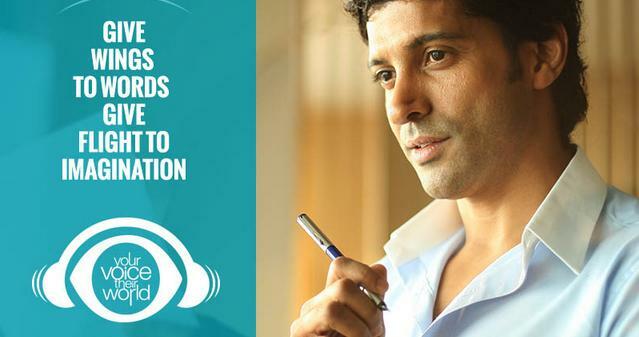 The campaign roped in Farhan Akhtar, Anupam Kher, Atif Aslam, Sona Mahopatra, Rahul Bose and other personalities to contribute. Read more on the campaign here. Pepsi, the official sponsor of IPL7 had brand ambassador and actor Ranbir Kapoor join Pepsi as an intern to bring all the thrill and action from Pepsi IPL 2014 to cricket fans. Beginning with the Twitter handle @ThatPepsiIntern, sharing live tweets on the IPL auctions early on, Ranbir was shown posing with team owners, players and celebrities, and also obliged Twitter users who asked him questions using the hashtag #AskThatPepsiIntern. The campaign went on to fire him and announced 15 internships through social media. These interns won an all expenses paid trip to UAE, VIP access to the matches and close encounters with celebrities. Read more on the campaign here. During IPL 7, Nokia India had launched a campaign for the Nokia X Android phone focusing on Fastlane – a screen that gives you instant access to your most-used apps. Users were invited to suggest apps to Shah Rukh Khan, the owner of KKR IPL team and also the App coach, through the brand’s Facebook page. If their suggestions matched with SRK’s Nokia X Fastlane, then they won a chance to meet the actor and his team. The offline space was accompanied by Apptasting events. Read more on the campaign here. In a significant move to engage the growing youth of the nation, MasterCard had launched the month-and-a-half long campaign ‘World Beyond Cash’ this April in India where students and young professionals from over 140 leading colleges and institutes were invited to submit their ideas for a world beyond cash. A Facebook app was created where participants could submit their ideas in the form of poems, essays, illustrations, flowcharts, videos, etc. The best entries won cameras, smartphones and Macbooks, in addition to a certificate of recognition from MasterCard. Read more on the campaign here. For the promotions of special edition India razors, Gillette India paid tribute to fathers in #MyRoleModel campaign. An extension of its global ‘Inner Steel’ campaign, Gillette roped in former cricketer and brand ambassador Rahul Dravid to convey the message of fathers as the first role models in a child’s life. The idea was extended onto social media with the #MyRoleModel blogging contest and Twitter contests that triggered conversations around the campaign hashtag. Read more on the campaign here. 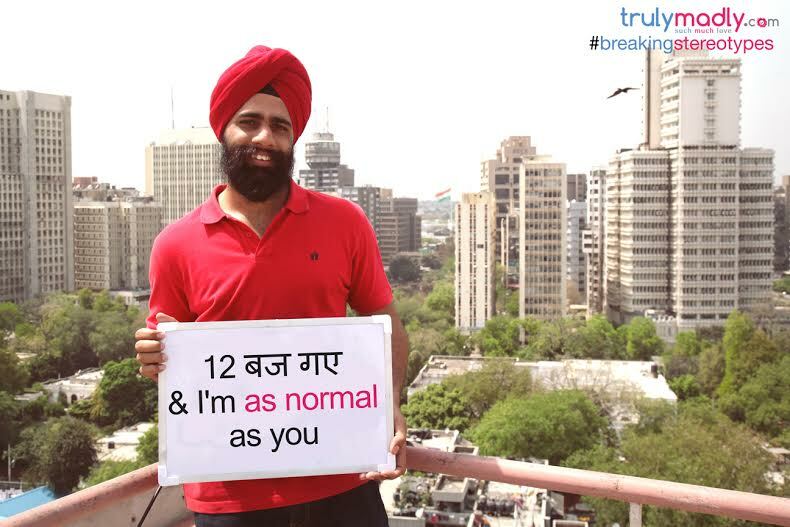 TrulyMadly, a modern day matchmaking service that finds suitable matches using science and technology, launched the #BreakingStereotypes campaign that sought to break stereotypes existing in the country. It ran a social experiment where it asked boys and girls to share how they’ve faced generalizations while growing up, and curated these stereotypes into interesting visuals that could be shared on social networks. Twitter contests helped fuel the message further. Read more on the campaign here. Cadbury Dairy Milk transformed its four flavours as part of a brand revamp exercise, and launched a cool campaign #MyFavDairyMilk during the Lok Sabha elections. Riding on the election fever in the country, the chocolate brand also invited users to vote for their favourite flavour at the microsite. There was campaigning for each flavour and Twitter contests dedicated to each of them. A mobile app was built to engage users with fun games around the flavours. Read more on the campaign here. Online talent platform Famebox had launched a web reality show called “American Swan Beauty & the Blogger” this April. The teams comprised of a fashion model and a blogger, where the model drove up the glamour quotient, and the blogger created social media buzz with real-time updates, pictures and behind the scenes videos. The campaign leveraged a combination of its website, Facebook and Twitter, to drive eyeballs to the Famebox YouTube Channel for fashion. Read more on the campaign here. Britannia NutriChoice wanted to strengthen the brand’s proposition that good health can be fun. The health snack brand teamed up with IPL team Royal Challengers Bangalore for the Nutrijig campaign this IPL7. Cricket fans were invited to record a jig onto the webpage or Facebook timeline, while best jigs were rewarded with a chance to meet the team. Fans could get autographed RCB posters by simply tweeting about the hashtag or downloading them via the website. Read more on the campaign here. For the promotions of Micromax Unite 2 that supports 21 Indian languages, Micromax Mobile launched the #DeshkiDictionary contest, where one could define or nominate their own slang word to create an Indian slang dictionary. A microsite featured the word of the day and the user generated definitions for it, while interesting visuals described the slangs on social media. The best entries could win the Unite 2. Read more on the campaign here. This June, Fox Traveller set on a transformation to Fox Life with a new brand philosophy of ‘Go Places’. Weeks prior to the transormation, the TV channel braced its fans or the new change through teasers and Facebook challenges. Fans could participate in the Go Places challenge and win a free surfing trip. Addiitonally, they could create a bucket list on Facebook to help keep a track of the things they wanted to do. Read more on the campaign here. During the FIFA World Cup, messaging app Viber partnered with YUWA, an organization that uses football to change lives, for ‘Vibe the goal, its CSR initiative. Viber would donate to Yuwa every time someone used its messaging app to send a message, create a group, chat with friends or share stickers with them. The campaign used a microsite and social media to drive users onto the mobile app and spread the campaign hashtag. Read more on the campaign here. Iconic two wheeler brand Vespa launched its global campaign “Do you Vespa?” in India in a different way. Focused on building aspiration for the brand, Vespa asked fans to create stories that personified the Vespa spirit on Twitter, after taking a cue from the new TVC. 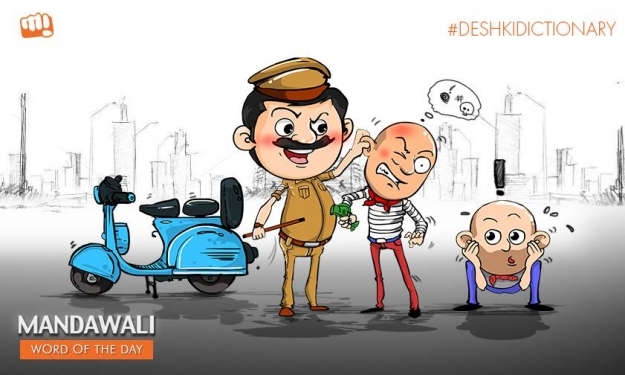 While Vespa India provided the opening line for the story featuring any one of the character in the ad, participants had to take it further with their tweets. Read more on the campaign here. For the promotions of Oreo Orange Creme, the cookie brand launched a series of activities that reinforced the friendship between Oreo cookie and Orange crème by calling them #OreoBesties. Fans were invited to share their wacky selfies with their best friend using the hashtag. Visuals with the two asked fans to guess what one said to the other. Live customised visuals were created out of fan tweets that described their #BestieBond. Read more on the campaign here. 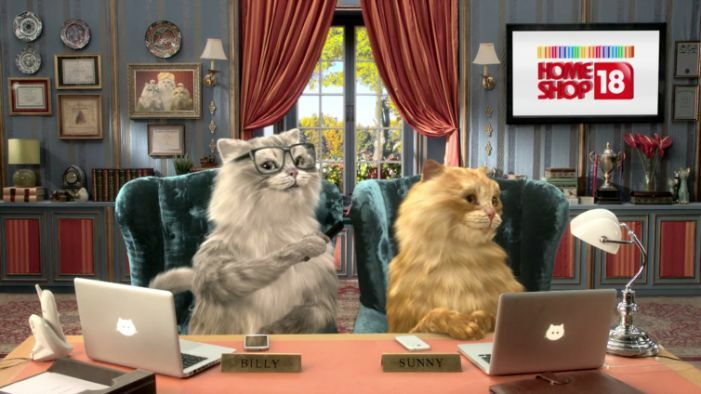 Ecommerce platform HomeShop18 launched a campaign to reinforce its ‘Shopping Makes Me Happy’ mantra featuring two animated cats, a father-son duo. A microsite displayed the TVCs and offered fun activities to engage fans with memes inspired by Bollywood and shoppig confessions. Each of the cats had a Twitter handle of its own and a unique personality too. Read more on the campaign here. The MRF Rain Day campaign by MRF tyres that has been predicting rains for the past 30 years in Mumbai, while asking Mumbaikars to change to MRF tyres well before the rains, went digital this year. A dedicated microsite kept track of the rain clouds starting from Kochi in Kerala to Mumbai. Fans were invited to predict Rain Day and win prizes, in addition to sharing pictures of the first rain. Read more on the campaign here. 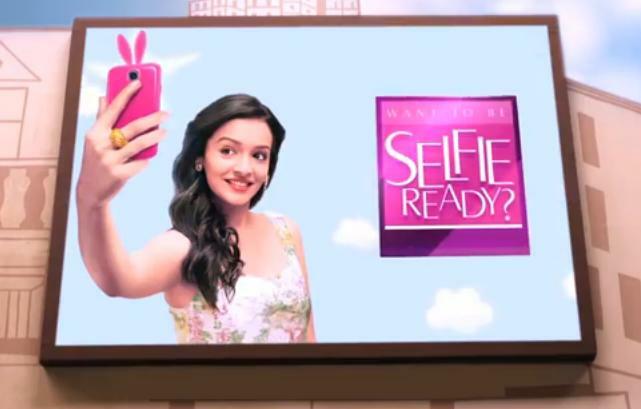 For the launch of its new summer face care cream, Pond’s India launched the ‘Selfie Ready’ campaign. Users needed to upload their selfies on to the campaign website, or share on Facebook or Twitter with the hashtag #pondsselfieready. While 30 of the best selfie pictures would be featured in billboards across 6 cities of India, 100 chosen ones got product hampers. All selfies featured on the virtual wall of fame at the microsite. Read more on the campaign here. For the Canvas Doodle 3 promotions, Micromax Mobile had launched a campaign to drive home the message of ‘Can doodle without limits’ to highlight its doodling features. An animated TVC highlighted how anything was possible with a little pig, while the story was continued further on social media. 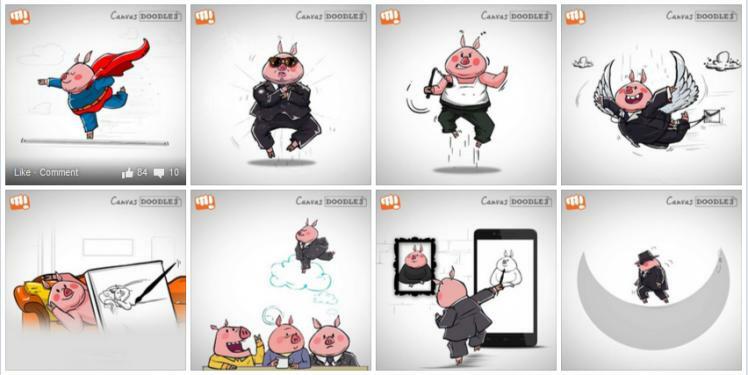 Users were invited to share whacky or funny situations for the piggy, while the brand created doodles out of them. Read more on the campaign here. In a bid to tap into the vast vegetarian consumer segment, KFC India had launched the ‘So Veg So Good’ campaign with a TVC featuring comedian and actor Vir Das. Prior to airing the TVC, the social media pages of KFC put up content highlighting Das’s new found obsession with KFC, and invited the community to guess it. Also, fans were invited to express their reaction on KFC coming up with veg options using memes, and the #omgKFChasveg. The best memes were gratified with KFC vouchers. Read more on the campaign here. Male grooming brand Philips had launched an amusing campaign to introduce its new shaver designed for the modern man – the Philips AquaTouch. The brand got the common razor to confess to his crimes in a confession video, to reveal his true identity of being a hurting villain guilty of causing nicks and cuts while shaving. The campaign website ‘#BladeyConfessions’ featured user confessions, while people were asked to #forgivetheblade on Twitter. Prior to revealing the blade’s true identity, the campaign created some creative buzz riding on the trend of making anonymous confessions. Read more on the campaign here. For the launch of Za, Shiseido’s skin care brand in India, to be available only in metro cities, the brand initiated a campaign to connect with the urban metropolitan woman who cares about her skin and is also social media savvy. Along with roping in influential beauty and makeup bloggers to review the brand products and communicate its efficacy, the brand created a Facebook community around fashion, health and beauty tips. A Facebook app was created where a fan could know her BFFs and also spread the word. Read more on the campaign here. Lifestyle Stores had launched its Spring Summer campaign called #StylePlay to highlight the trends of the season. The campaign was conceived on the insight that consumers today preferred to recreate different looks with the same pieces of garments thereby expressing their individuality and fashion sense. Users on Twitter were shared two different looks created from a single outfit and asked where they would wear these to, while the brand blog described how to wear a particular outfit in two different ways. Read more on the campaign here. The above is curated from the social media campaigns reviewed at LI in the second quarter of this year. In case we might have missed out on listing some worthy campaigns here, do share them with us in the comments. Also, don’t forget to share your favorite campaign from this list.